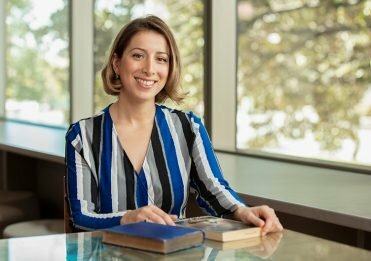 As part of the suite of new senior subjects to launch for Year 11 in 2019, Literature is a first for Brisbane Girls Grammar School and for English teaching in Queensland. Neither has ever had a subject devoted solely to the appreciation and creation of literary texts. English, of course, has always exposed girls to the literary and fostered their own, fledgling literariness, but has always done so alongside the development of valuable non-literary skills in persuasion, media texts and personal reflection. Indeed, in the new system, English will continue to do just that, but will have Literature as a more specialised companion subject for girls of a more literary bent. Naturally, an English teacher is going to say that a specifically literary subject is a good thing, but the prominence of matters literary in 2017 only serves to validate my flagrantly self-serving message. The media this year has been full of tributes to the literary giant, Jane Austen, and proof of her work’s continuing popularity and relevance has filled countless columns and screens in marking two hundred years since her passing. Anyone unconvinced of the breadth and depth of Austen’s appeal need look no further than Mrs Kristine Cooke’s Year 12 English class in Term II. Alongside the twenty or so senior girls being amused by the gentle and genteel satire of Pride and Prejudice, sat Girls Grammar Sports Manager, ex-army curmudgeon and devoted Austenophile, Mr Barry Greatorex. So fond of Austen’s Regency world is Mr Greatorex, that 2017 marked the third time he joined a Year 12 class as they were in turn frustrated and delighted by Lizzie and Darcy. Austen’s appeal, both in original form and in the many modern screen and print adaptations, testifies to the lasting power of the literary to entrance, amuse and divert. The power of literature to illuminate our own world has been underscored by the return of some canonical novels to the bestseller lists. No doubt given an impetus by political developments overseas, authors, Margaret Atwood and George Orwell — both of whom have recently or currently adorned our English booklists — have outsold many more contemporary writers this year. The Handmaid’s Tale and its prescient critique of gender, faith and environmental issues returned to the top of bestseller charts and spawned an enormously popular television adaptation. In the way of literary speculative fiction, its masterfully wrought dystopia forces readers to reconsider our own world and acknowledge how — without our vigilance — it could become this fictional one. Grenville and Jeffrey Eugenides among their many notable alumni. The girls in Literature will work at the craft rather than await their muses. Far be it from me to either predict or limit their literary futures, but even if novelistic success and riches prove elusive, the world of work is always looking for creative types who can write well. 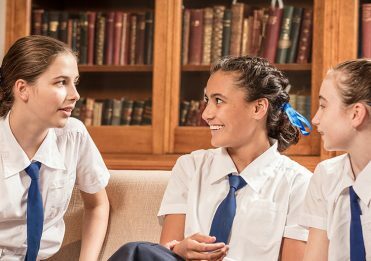 Literature exerts a strong and lasting hold on us and our hope is that the new study of Literature will afford Grammar girls a source of artistic and creative expression for years to come.